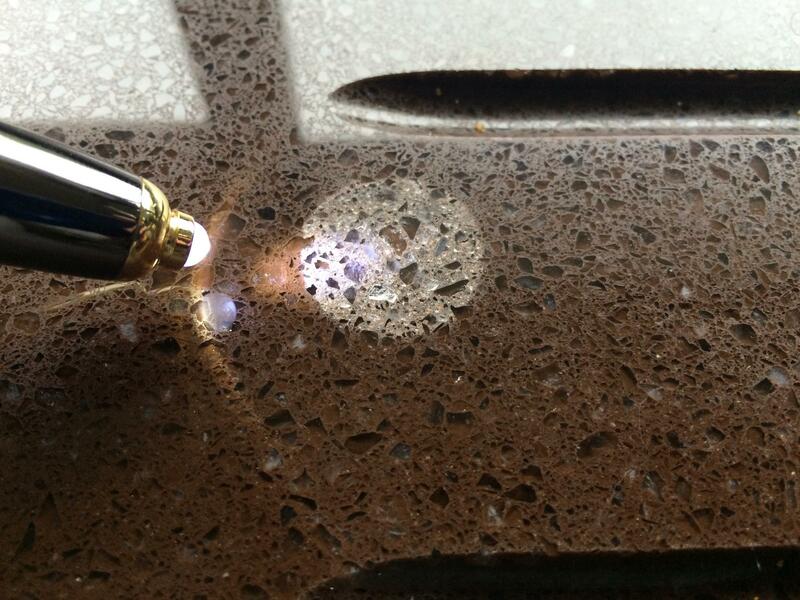 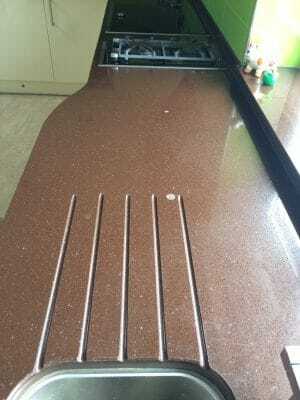 Removal of oven cleaner stain drop on chocolate colour Quartz kitchen top. 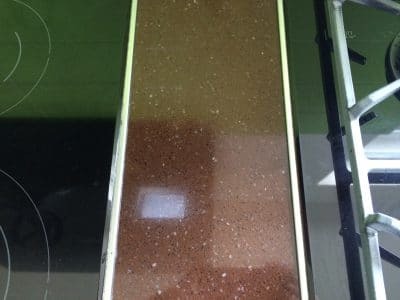 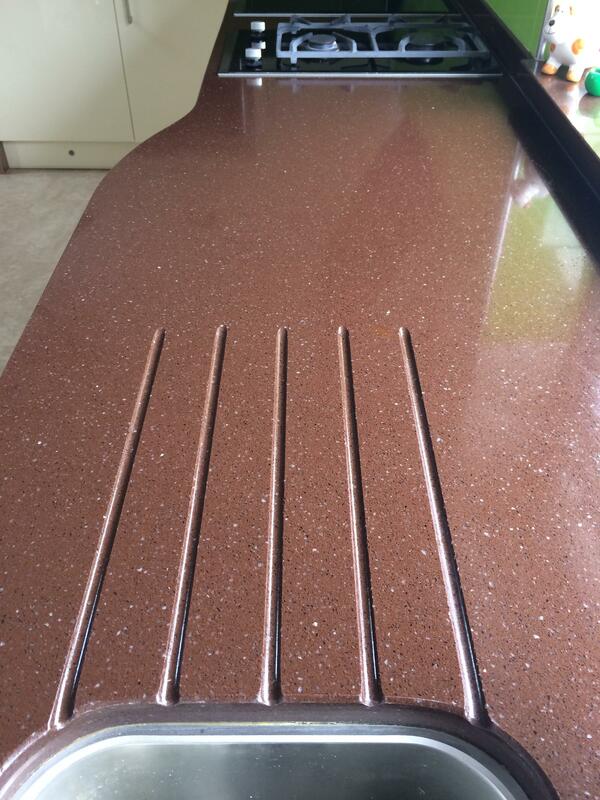 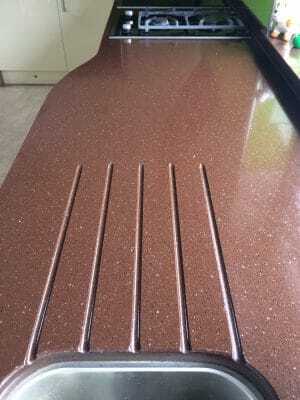 Oven cleaner stain drop on 'chocolate colour' Quartz kitchen top. 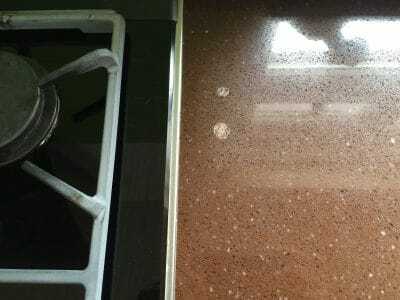 Stains are visible in a few places on the kitchen top. Two spots to the right of the hobs. ... and two more spots between the hob units. 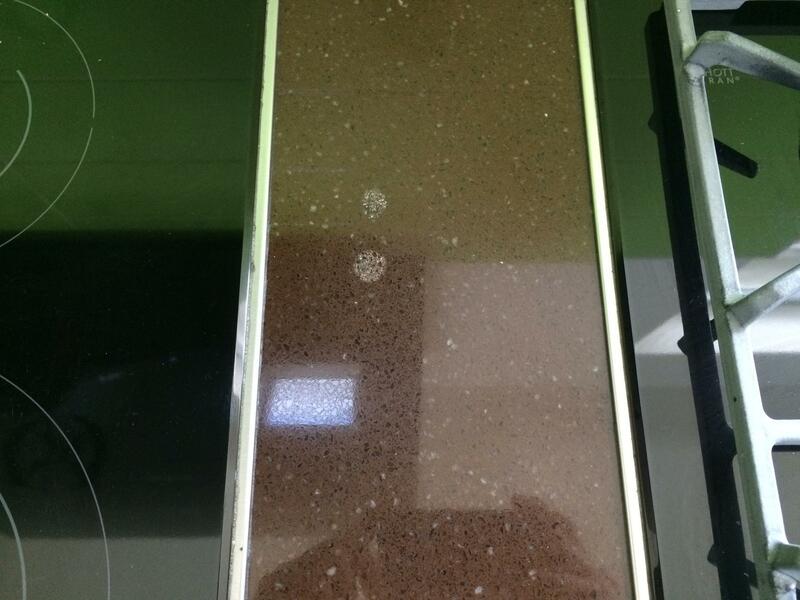 Stains recoloured and the whole stone had a colour enhancement treatment. 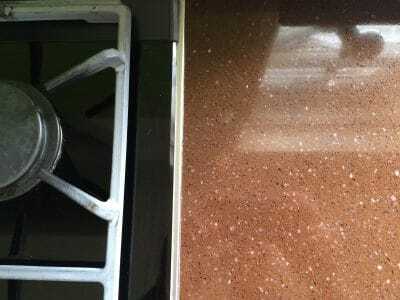 The stains are virtually gone. 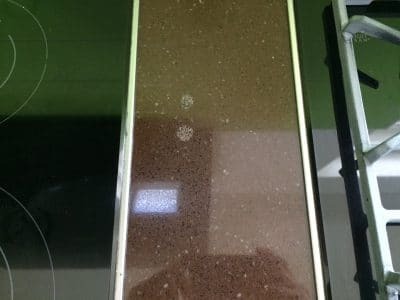 No sign of the stains remain. The two drops are gone and colour stands out again..